I never used to be a morning person. But the most magical lights and moments often happen in the moments before the sun spills over the horizon. Last week I was in Solio Kenya, one of my favorite places to photograph, and in the pre-dawn light I saw these Crowned Cranes resting in a tree. I positioned myself so that the tree and the cranes were set against the backdrop of Mount Kenya and waited as the light trickled in. Minutes before the sun appeared from behind the mountain, the cranes began to fly down from the tree, and I captured this shot of three watching one in flight. If you look carefully you will notice that the outlines of the birds are mirrored in the outline of the mountain above – I wish I could say I planned it this way, but it’s not something I noticed until after I clicked the shutter. Head on over to Beetles + Huxley London to check it out! This article was published by Jennifer Kaye in FeatureShoot. Check out also the feature by My Modern Met. Robin Moore is no stranger to wildlife. The Scottish-born photographer’s work has graced the pages of National Geographic Traveler and TIME and he is an associate fellow of the International League of Conservation Photographers. 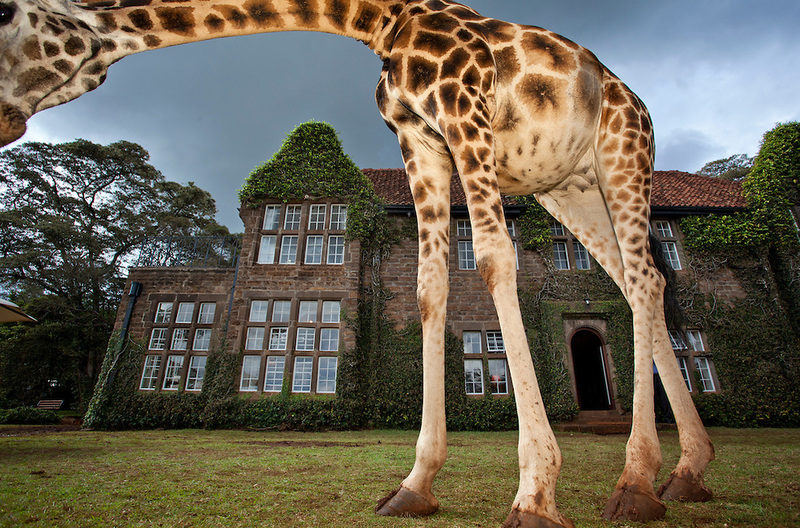 Moore’s latest efforts brought him just outside of Nairobi, Kenya to Giraffe Manor, famous for its resident herd of endangered Rothschild Giraffes. 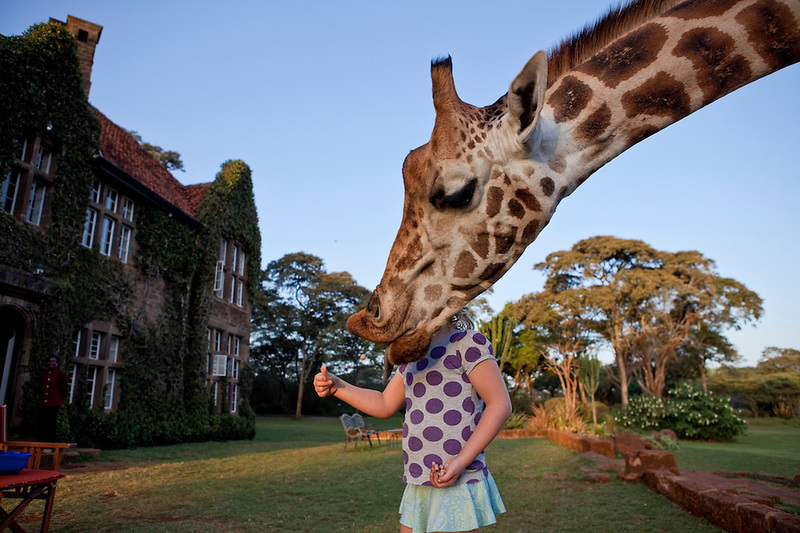 There are actually six species of this long-necked creature, with wild Rothschilds numbering in the low hundreds. 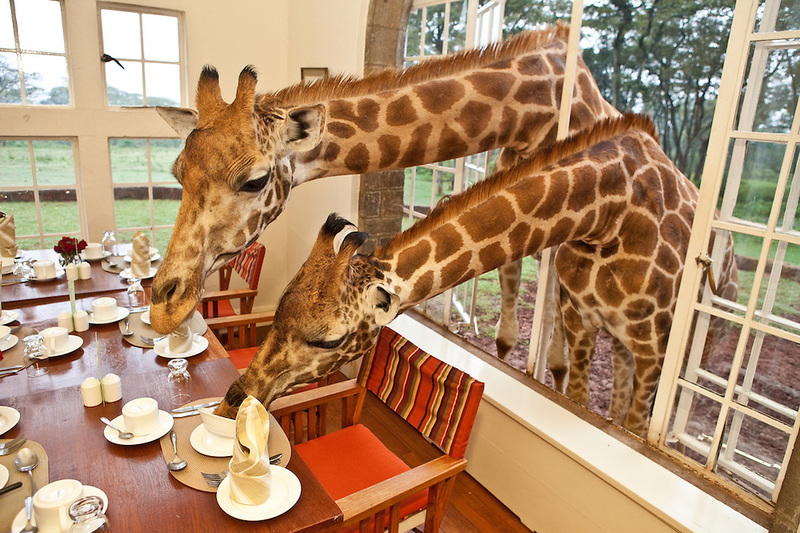 The Manor offers the unique experience of rubbing shoulders with the giants as they peek their heads into the hotel dining room to share breakfast with guests. As Moore was shooting the manor for promotional purposes, he made three visits over the course of a year, spending several nights each time. “I tried to capture the Manor ‘as is’ and therefore these were not set up specifically, I merely documented what was happening around me,” said Moore. 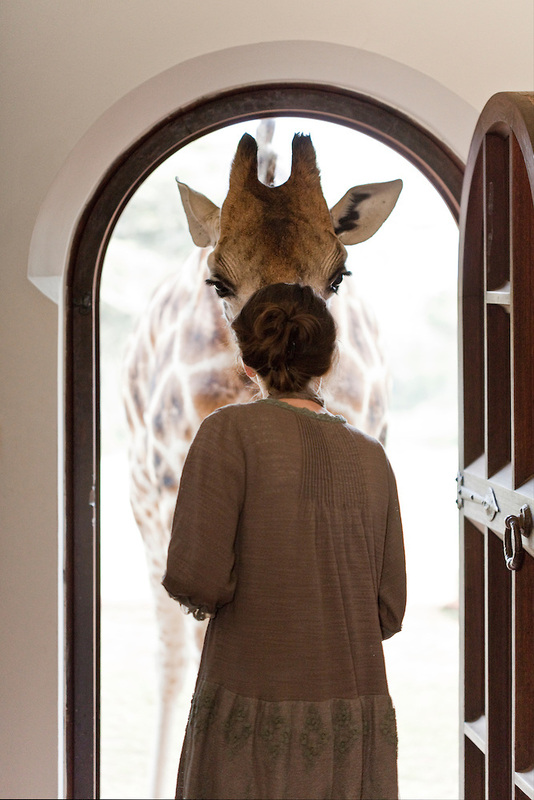 It’s common to assume these giants are gentle, as they approach people through the windows of the hotel quite casually. 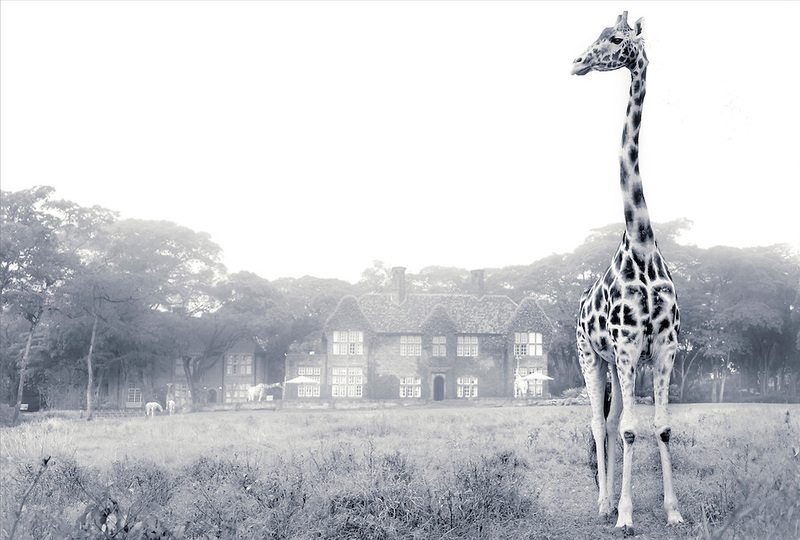 But if the barrier of the hotel walls are removed, guests are advised to proceed with caution as the giraffes can play rough. “They are fairly well habituated to people,” said Moore, “but you have to respect them as wild animals.” Moore pushed the limits a few times to get a shot, and was chased around a tree and nearly head-butted. “It was only funny because he missed,” said Moore.